When it comes to my own art, I'm very critical. I work and re-work, scrap, start over, work on colour saturation, until I'm in love with each piece. When it comes to works by others, however, I'm a pushover! I love any attempt at all, big or small! My two littles (Oliver is six, Charlotte is three) are on spring break right now and we have accidentally stumbled upon art almost everywhere we've gone. Together we've made a game of it - lets see who can spot the art in each space we're in. 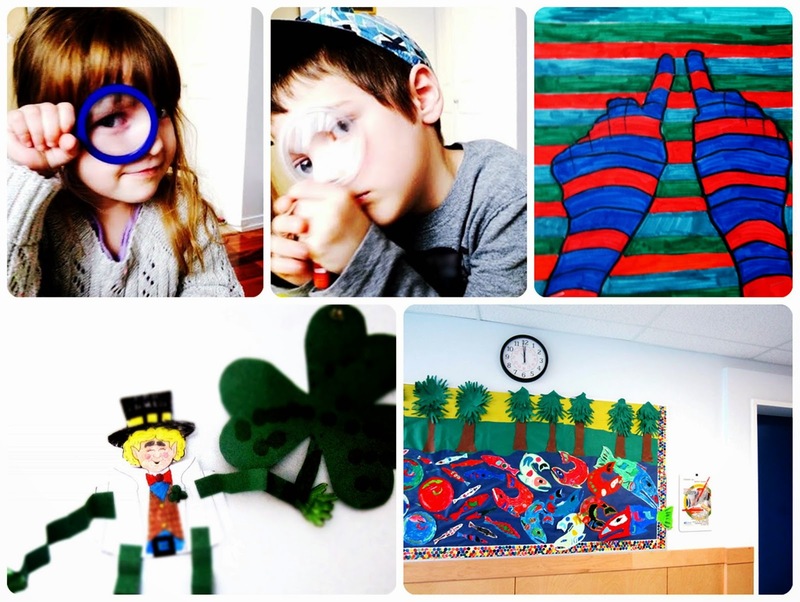 We've discovered new artists who have their works displayed at our local library, bulletin boards at the local school that took more than a minute to linger over and reveled over our very own paper projects celebrating St. Pat's Day. Art is everywhere! Patterned backpacks of the students roaming the campus we live next to, canvasses hanging at the coffee shop we noticed while waiting for our teas and banana bread one afternoon, crazy carpet pattern in the lobby of the dentist's office...keep your eyes peeled...allow yourself to see the (accidental or intentional) artistry in every space! I like your playful approach to teaching kids to appreciate art! Ever since I bought my laser, I can't go anywhere without finding things that I can laser or that have been lasered!